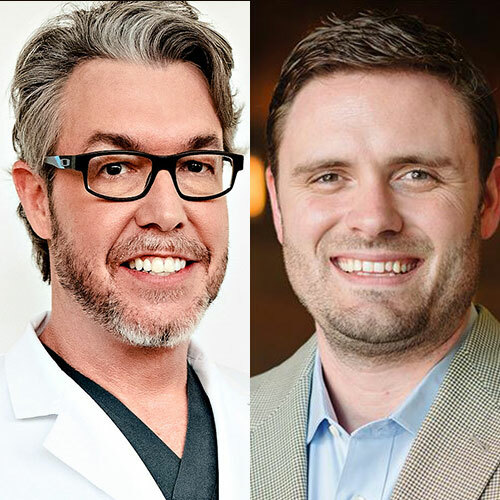 On October 7, we’re joined by Dr. Ken Anderson of the Anderson Center for Hair to discuss hair restoration surgery and financial advisor Chris Burns. Dr. Ken Anderson is the Founder and Director of the Anderson Center for Hair. He is a double-board certified facial plastic surgeon who has been practicing hair restoration surgery exclusively since 2003. He began in private practice in Beverly Hills, California in 2003. In 2008, Dr. Anderson was recruited from California to join the Emory Facial Center, a satellite office of the main Emory Hospital dedicated to facial cosmetic surgery, to offer hair restoration to Emory Healthcare patients. His educational contributions include several Grand Rounds Lectures presented to the Emory Department of Dermatology, and the Emory Department of Otolaryngology-Head and Neck Surgery. Dr. Anderson is also committed to the education of physicians in the community and has delivered educational talks to the physicians of Hamilton Medical Center in Dalton, GA, as well as to the Department of Family Medicine at Mercer University in Macon, GA. He has been an invited lecturer on hair restoration around the world, including Canada, Japan, and Ecuador. In 2012, he won the Okinawa Award for a presentation about follicular unit extraction procedures, delivered to the Japan Society for Clinical Hair Restoration. Chris Burns and More Than Money partner with their clients to build a strong foundation, properly assess their risk tolerance, and consistently monitor their progress. If being a More Than Money client only meant that you would reach your financial goals, it would be worth it. However, the key is that it leads to enjoying a better quality of life through a comprehensive financial plan. access to a wide variety of financial products and tools. a team to surround you with consistent progress evaluations. technology to predict your financial future. daily emails packed with top financial news. invaluable peace of mind to live your life.